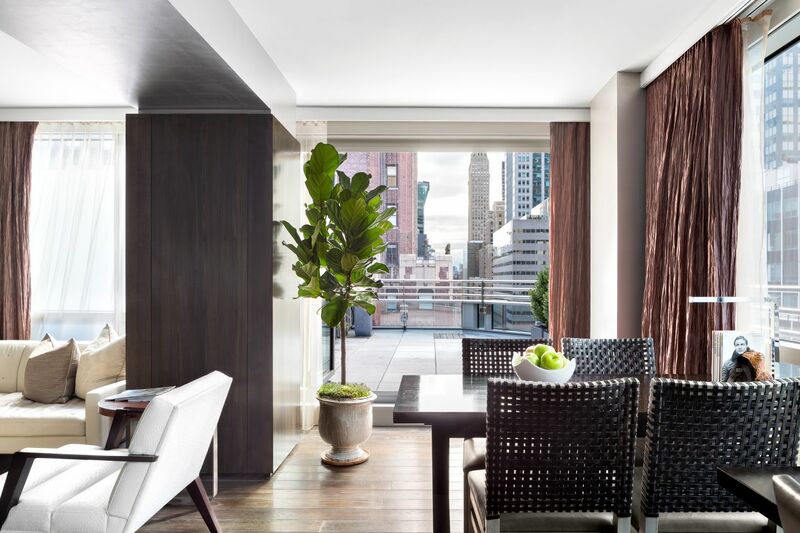 A private-club feel permeates the Hotel 48LEX, set in a building by local architect Nobutaka Ashihara, smack in the middle of New York’s bustling East Side. 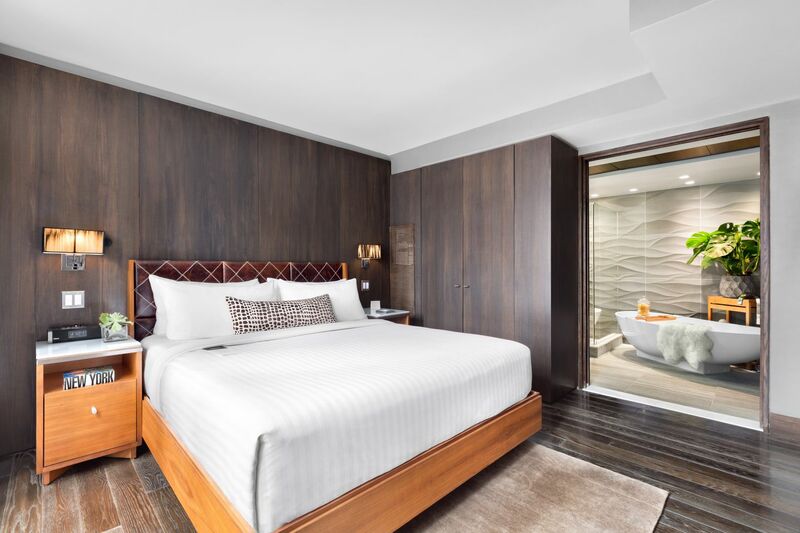 The boutique hotel has 116 spacious, apartment-like rooms and suites (studios even boast terraces) crafted by New Jersey-based interior design firm VLDG. 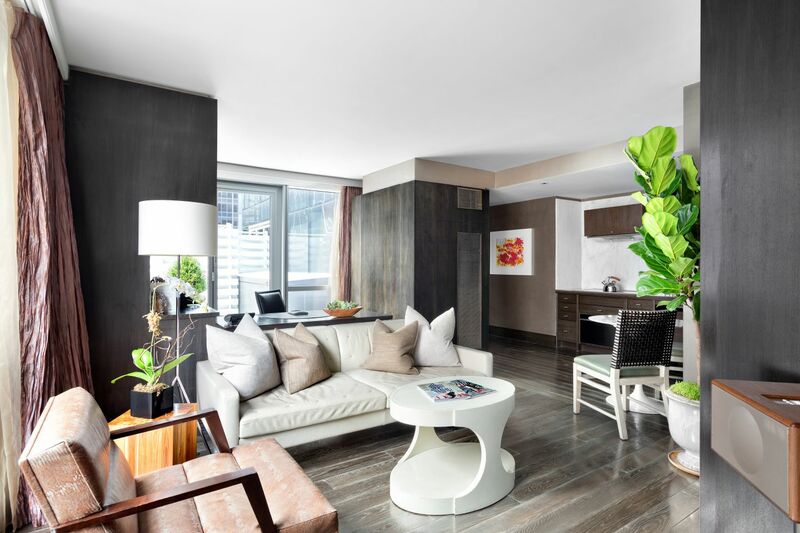 Marked by a crisp gray-and-white color scheme and pops of bright color, the put-together vibe is further accentuated with floor-to-ceiling windows and marble baths with glass-walled showers. 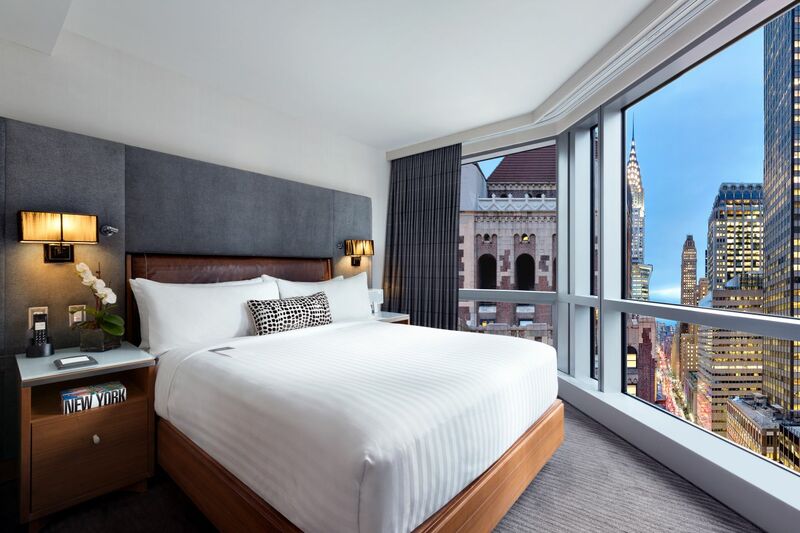 A Midtown hotel so perfectly situated must try hard if it wants to keep its guests on property and away from all the tempting distractions beyond its door. 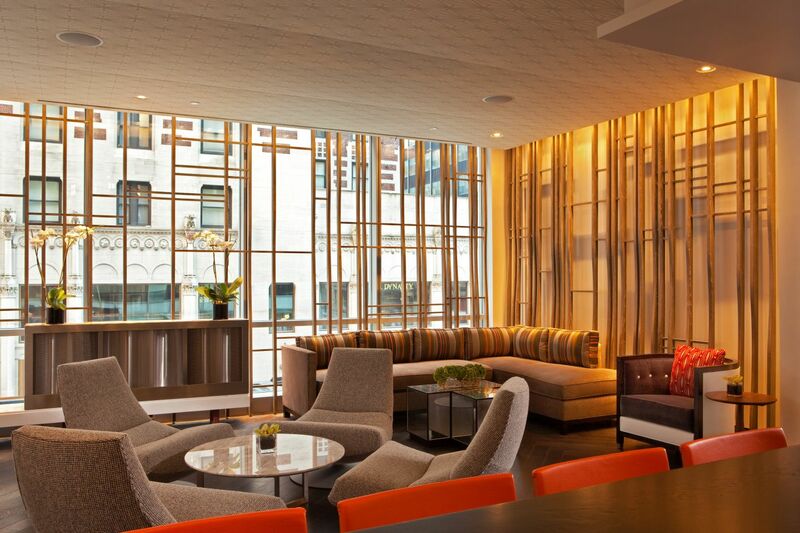 Hotel 48LEX succeeds. 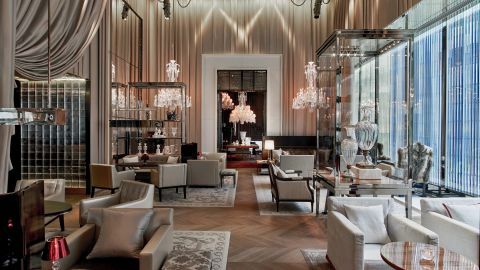 The couches in the lounge are often filled with folks hanging out, working, and ogling the impressive collection of modern paintings and collages. EMM Group’s Lexington Brass, a sleek bistro designed by local firm iCRAVE, is a buzzy mainstay for locals, too.